PT Wijaya Karya (Persero) Tbk - WIKA is a reputable state-owned general construction company in Indonesia. PT Wijaya Karya (Persero) Tbk has main business focus rests on 5 business pillars: Industry, Infrastructure and Building, Energy and Industrial Plant, Realty and Property, and Investments. Based in Jakarta, PT Wijaya Karya (Persero) Tbk now has 7 directly-owned subsidiaries; PT Wijaya Karya Rekayasa Konstruksi (90.04%), PT Wijaya Karya Gedung (69.30%), PT Wijaya Karya Bitumen (99.00%), PT Wijaya Karya Serang Panimbang (80.00%), PT Wijaya Karya Beton (60.00%), PT Wijaya Karya Realty (90.88%), and PT Wijaya Karya Industri dan Konstruksi (97.22 %). PT Wijaya Karya (Persero) Tbk was first established in 1960 as Perusahaan Negara Bangunan Widjaja Karja (PN Widjaja Karja) with principal business in the electrical, water pipe installation. Later in 1972, PN Widjaja Karja renamed into PT Wijaya Karya. PT Wijaya Karya (Persero) Tbk is a public-listed company and its shares are listed on the Indonesia Stock Exchange (IDX) since 2007 under reference code WIKA. As of December 2017, PT Wijaya Karya (Persero) Tbk is 65.05% owned by the Government of Indonesia and 34.95% by general public and investors. According to information found in PT Wijaya Karya (Persero) Annual Report 2017 as cited by JobsCDC.com, the financial performance of PT Wijaya Karya (Persero) Tbk in the business year of 2017 (ended in 31 December 2017) showed a good improvement. PT Wijaya Karya (Persero) Tbk booked total net sales of Rp26.18 trillion in 2017. This total net sales is up 67.06% from Rp 15.67 trillion in 2016. PT Wijaya Karya (Persero) Tbk successfully recorded a total asset of Rp 45.68 trillion, with a noticeable increase of 45.70% from Rp 31.35 trillion in 2016. Holds around 3-10 years of engineering experience in EPC. Expertise with Staad Pro and other Civil Softwares. Strong understanding of structure calculation and basic geotechnical and other civil engineering. Willing to be assigned at Head Office and Project Site. Expertise with Plaxis/Geoslope and other Civil Software. S1 degree in Power Lines. Holds around 7-10 years of engineering experience in EPC. Expertise with Electrical Software; such as ETAP, Dialux, Chalmlite and others. Skilled in operating drawing software; such as AutoCAD. Strong understanding of power system design calculation and other electricity design. Able to read schematic diagram. Holds minimum 3 years of engineering experience in EPC. Expertise with Electrical Software; such as ETAP. Expertise with AutoCAD, Caesar II and other piping Software. Strong understanding about the calculation of Wall Thickness Calculation, Flexibility Analysis. Holds around 3-10 years of experience in Subsea and Onshore Pipeline. Expertise with AutoCAD, Caesar II and other pipeline Software. Strong understanding about the calculation of Wall Thickness Calculation, on bottom analysis, free span, installation analysis, Flexibility Analysis. Have a good understanding of design, construction, onshore pipeline operation and offshore pipeline. Holds around 3-10 years of experience as Piping Designer EPC. Expertise with AutoCAD (2D and 3D), Cadwork. Strong understanding about the development process for plot plan, piping general arrangement, Isometric, Piping Layout, Detail and Standard Drawing. S1 degree in Physics Engineering, Electrical Engineering, Physics Instrumentation. Minimum 5 years of experience in Project Industrial Plant /' Smelter. Familiar and able to provide input and review towards P&ID. Have involved in FEED, DEED up to Construction, Commissioning and Start-Up. Familiar with international Engineering Code and Standard in the field of Instrument and Control. Skilled in operating instrument softwares, such as SPI or Instrucalc. Have experience in site supervison. Holds around 3 - 5 years of experience or involved in 1 full EPC Project (Phase DED, Construction, Commissioning and Start-Up) both oil and gas and industrial plant. Skilled in operating instrument software, such as SPI or Instrucalc. Have experience in site supervision. Holds around 3-10 years of experience as instrument Designer EPC. Strong understanding about the process for 3D and 2D development tray routing, instrument plotplant. Able to calculate the MTO Instrument bulk materials. Able to develop drawing instrument (location plant, detail installation drawing, cable routing, hook up, etc). Holds around 1-3 years of experience as Commissioning Engineering in EPC company. S1 degree in Chemical Engineering, Mechanical Engineering, Electrical Engineering, Physics Engineering. Strong communication skill, both oral and written. 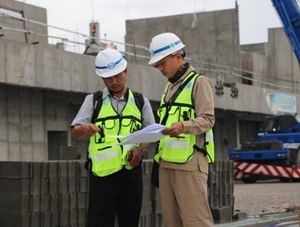 Willing to be assigned at Head Office and all WIKA's project sites. S1 degree in Mechanical Engineering. Holds around 3-5 years of experience in the related field, preferably have experience in Project Industrial Plant / Smelter. Strong understanding of mechanical engineering work in the field of EPC. Familiar and able to understanding of PFD and PID Diagram. Experience in review document vendor. Familiar with mechanical equipment, such as tank, pump, compressor, heat exchanger, etc. Familiar with mechanical software, such as Ame Tank, PV Elit and Helix. Holds around 2-8 years of experience as drafter mechanical. Expertise with AutoCAD 2D, preferably 3D. Preferably experienced in develop the image of tank, conveyor, ducting and familiar with its terms. Able to work quick and precise. Minimum 2 years of experience in the same field on EPC project. Operating knowledge of CAD software (AutoCAD, etc). Experience in heavy lift and heavy transport. Able to check the appropriateness of lifting equipment. Able to create civil work methods. Strong understanding about the basic civil calculation, both Geo technical or Structure. Able to create and translate shop drawing. Able to create development, analysis and production report of civil works. Able to create piping work methods. Able to create test pack and translate the isometric. Able to create development, analysis and production report of piping works. Able to create mechanical work methods. Strong understanding of eligibility requirements for mechanical equipment (tank API650, etc). Able to create development, analysis and production report of mechanical works. JobsCDC.com now available on android device. Download now on Google Play here. Please be aware of recruitment fraud. The entire stage of this selection process is free of charge. PT Wijaya Karya (Persero) Tbk - Engineer Industrial Plant WIKA October 2018 will never ask for fees or upfront payments for any purposes during the recruitment process such as transportation and accommodation.